Have something spicy to munch on while you watch a game or drink a few beers! 1. Melt butter in a small saucepan over low heat; stir in all remaining ingredients except almonds and mix well. 2. 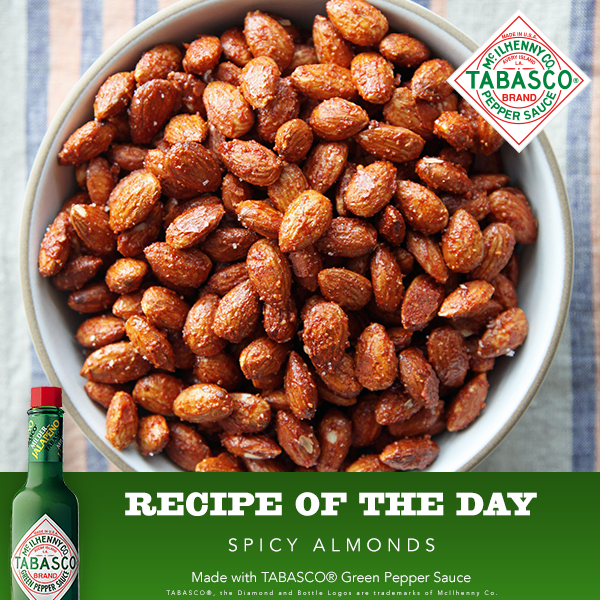 Place almonds in a large roasting pan and pour butter mixture over almonds; toss until evenly coated. Bake in a 325°F oven for 20 minutes, stirring occasionally. Cool almonds before serving.